Beginning On Monday July 24, stage two of the King Street streetscape project closed sections of Erb Street and King Street in Waterloo. The closure will take place for approximately 10 weeks, as reported by CBC Kitchener-Waterloo. King Street has set to close from Erb Street to the LRT tracks, as well as Erb Street from Albert Street back to King Street. Pedestrians and drivers can take the detour from Bridgeport Road between Regina Street and King Street, which will be extended to Albert Street. According to CBC, this detour will be available until the intersection of King Street and Erb Street re-open. 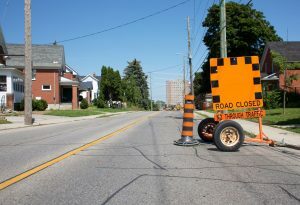 A one-lane road will also remain on Erb Street to Albert Street for drivers to access Albert Street to Bridgeport Road.